Pamir Energy, a project company of the Aga Khan Fund for Economic Development. London, United Kingdom, 12 June 2017 - Pamir Energy has won the 2017 International Ashden Award for Increasing Energy Access for its work bringing hydro power to 220,000 people in East Tajikistan and 35,000 people in North Afghanistan, as well as to many businesses, schools, and health centres. The Ashden Awards are a globally recognised measure of excellence in the field of sustainable energy. International winners receive £20,000 in prize money as well as a tailored package of business support to scale up their work. The area of Viloyati Mukhtori Kuhistoni Badakhshan (VMKB), where Pamir Energy operates, is not connected to the main Tajik national grid and lost most of its electricity infrastructure as a result of the collapse of the Soviet Union. Fifteen years ago only 13% of households in the region had reliable energy. To address these crippling energy issues, in 2002, the Government of Tajikistan, the International Finance Corporation and the Aga Khan Development Network (AKDN) established Pamir Energy, Tajikistan’s first public private partnership. Pamir Energy (an AKDN project company) has an agreement with the Government of Tajikistan to supply power to the whole of VMKB until 2027. 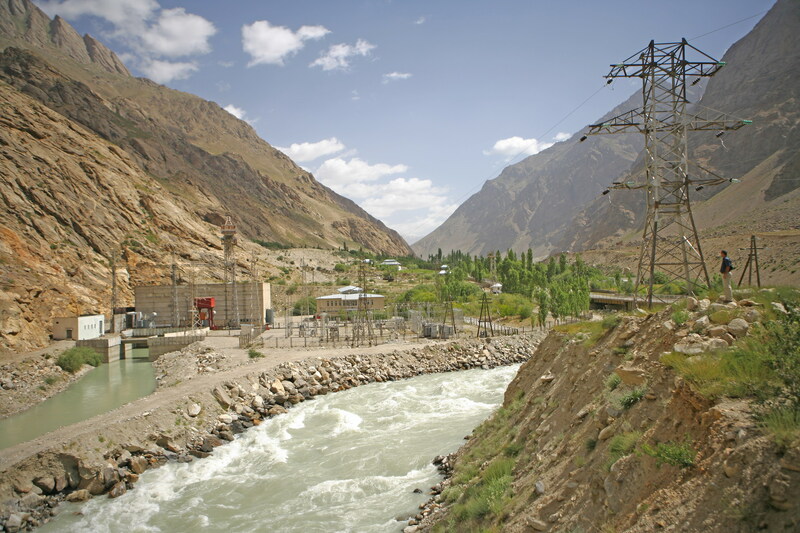 Since 2002, Pamir Energy has restored 11 micro hydro power plants and upgraded 4,300km of transmission lines, as well as distribution facilities. During critical phases of the project, the Swiss government, through the State Secretariat for Economic Affairs (SECO), provided vital support through an innovative customer support scheme and the provision of technology that ensured affordable access for the poorest households in VMKB. Today, 96% of households in VMKB, some 220,000 people, have access to clean, reliable and affordable energy. In 2008, the company began exporting energy across the Panj River to communities in northern Afghanistan – some receiving electricity for the first time in their history. Currently, 35,000 Afghans are connected. The company plans to reach thousands more customers in Afghanistan in the coming years and to expand its operations to Northern Pakistan by 2025. The advent of hydro power has been life-changing for many in the VMKB region. Domestic life is less of a struggle: cooking and washing and ironing clothes is easier, water can be boiled quickly and showers are hot. People are healthier now that the risk of respiratory disorders - due previously to burning wood for heating and cooking - has been reduced and the average household energy cost has been cut from around $98 to $15 per calendar month. The reduction in deforestation for fuel is helping to cut the risk of landslides and avalanches and reliable power has brought opportunities to the area. Schools have internet access and commercial enterprises like cafes and bakeries are flourishing. Medical facilities are more effective now that medication can be safely chilled and surgeons are able to use safer and more modern equipment. Pamir Energy will receive its Ashden Award on Thursday 15 June 2017 at a prestigious ceremony at the Royal Geographical Society in London. Channel 4 presenter Krishnan Guru-Murthy will host the Awards and former Vice-President of the US Al Gore is the keynote speaker. Broadcast quality footage is available on request. Funders of the 2017 Ashden Awards include Citi, Ecotricity, the Esmée Fairbairn Foundation, the Garfield Weston Foundation, Grosvenor, the IKEA Foundation, Impax Asset Management, Oak Foundation, UK aid, and the Waterloo Foundation. The Awards Ceremony is on Thursday 15 June 2017 at 7pm. Tickets cost £30. For press passes please contact Ann Noon, ann.noon@ashden.org, 020 7630 2903.